Babajide Sanwo-Olu, governorship candidate of the All Progressives Congress (APC), has promised to retire his rival, Jimi Agbaje of the Peoples Democratic Party (PDP) after the March 2 election, deepening the war of words between both men. Sanwo-Olu made the comment in response to a statement made by Agbaje describing him as a puppet, Punch reports. Legit.ng gathers that the APC candidate said he was proud of being a puppet of Asiwaju Bola Tinubu, national leader of the ruling party, as it means he had mastered the art and science of governance. 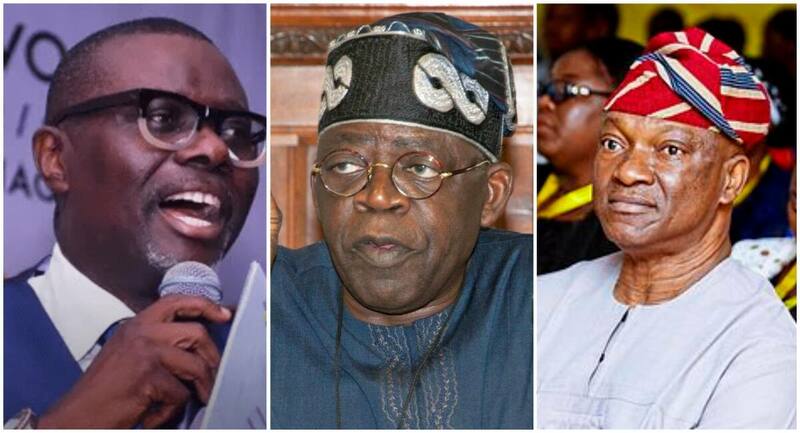 The statement read further: “Sanwo-Olu described Agbaje’s recent vituperation, where he described him as a puppet to the national leader of the APC, Asiwaju Bola Tinubu, as not only a complimentary (sic), but an affirmation of the notion that he is the most experienced for the job, having been properly schooled in the art and science of governance. “He further reminded Agbaje and his co-travellers in the journey of political ignominy of an incontrovertible fact that he (Sanwo-Olu) has been part of the progressive social, economic and political trajectory of modern Lagos, which started with Asiwaju Bola Tinubu and was passed on to the actualiser, Babatunde Fashola, who in turn handed over to the incumbent governor, Akinwunmi Ambode, for consolidation. Sanwo-Olu further stated that Agbaje was a learner for leaving out several critical areas of daily existence, as he berating the PDP candidate for promising to spend 50 percent of the state’s budget on education. Recall that Legit.ng previously reported that Babajide Sanwo-Olu stated that he , since the latter is older than him. Sanwo-Olu made the comment in response to his opponent’s tweets.